Globes provide highly consumable visualizations of geographic data. Globes require no understanding of the concept of a cartographic map or projections being based on a more widely understood representation of the earth. This means almost anyone can understand data presented on a globe. At street level globe visualizations appear little different to 2D web mapping but have significant advantages for widespread geographic data. Earth Globes can be more difficult to navigate but generally offer a compelling alternative to 2D web mapping. There are several desktop and plugin based solutions for Globe map visualization / globe mapping. The most popular with consumers being Google Earth and Google Maps Earth Plugin. ESRI offers a similar capability in ArcGIS Explorer and NASA provides an open source equivalent and development control called World Wind. The problem with these solutions is their dependence on desktop software or heavy plugins. What are the problems of a desktop software solution? For enterprises to cost effectively roll out desktop software most organizations include geospatial software within their controlled desktop builds. This enables automated roll out to many machines in a controlled manner. It provides consistency, reduces the cost of deploying software and ensures simplified support. Creating, testing and rolling out a build or build update takes considerable resource, time and cost to ensure all the hardware, software and security configurations are managed. As a result roll outs tend to be aligned with significant operating system or office productivity updates. Hence, its not something an organization can do frequently or will prioritize for a single application update and is usually associated with high costs. The impact of infrequent software updates is that desktop software gets frozen at the version when the build was created for the lifetime of the build. This prevents users from easily accessing new releases of software and the capability they offer. For consumers a desktop software solution is usually only provided where a solution is standalone or a web alternative is not possible. Handling the number of variants of operating system, language run times and dependencies is an expensive solution. Why are browser plugins not the answer? Plugins are a barrier to adoption. It's generally accepted that generation X has a very low tolerance of information systems that are not immediately consumable. Installing a small plugin application from a unrecognizable source to view a web page is counter intuitive in a web 2.0 world. Plugins are unpopular with IT buyers. To ensure security and help maintain appropriate use policies most organizations prevent browser plugins from being installed by end users. It's normal practice to include widely used and trusted plugins within a desktop build unfortunately this has the same limitations of desktop deployments. Plugins are a poor replacement for native browser capability. They operate within the browsers plugin container. This limits the plugins access to native capability and constrains options to deliver high performance as required for globe visualization. Internet Explorer - Microsoft has currently not agreed to implement WebGL in Internet Explorer (IE) citing security concerns. There are no plans for WebGL for IE 10. These security concerns have been independently validated (Context Information Security Limited, US-CERT). The Khronos Group who manage the WebGL specification have proposed updates to WebGL to resolve the issues. Mozzila has suggested that their implementation prevents some of the issues (here). There are already some good examples of globes implemented in pure HTML 5. In addition to this other HTML 5 features such as Web Sockets (push connections), WebWorkers (background threads) and IndexDB (structured browser storage) should allow developers to create high performance and interactive globes in web browsers. Web Map Globes provide highly accessible, easily consumable map data visualizations. HTML 5 WebGL offers opportunities to provide plugin free web mapping visualization as globes. At present web browser support for WebGL is good but not complete due to the absence of support in Internet Explorer 9. Support for IE users could be handled with WebGL plugins in the short term. 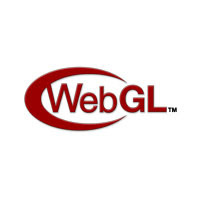 There are some concerns over security in the early editions of the WebGL standard that are in progress to being resolved.